As a Disney’s VisaÂ Cardmember, you’ll receive access to a private location, reserved exclusively for Chase debit and credit Cardmembers, during theÂ EpcotÂ International Food & Wine Festival presented by Chase. The Festival runs from September 28 to November 12, 2012. The Chase Lounge gives you and your Guests a chance to rest and relax during the Festival. Also enjoy a refreshing beverage during your visit. The Lounge is located on the second floor of the Festival Center atÂ EpcotÂ and is open 9 AM â€“ 7 PM each day during the Festival. The Festival Center is locatedÂ in Future World between the Universe of Energy Pavilion and Mission: SPACE, in the old Wonders of Life pavilion.Â Be sure to visit the Lounge to find out about special benefits you can receive throughout the Festival. 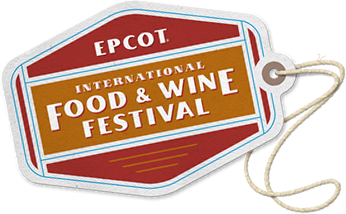 Experience a world of fine cuisine at theÂ EpcotÂ International Food & Wine Festival presented by Chase. See the World Showcase transform into a food-lover’s paradise, with over 25 regional marketplaces, offering a sumptuous selection of ethnic and regional dishes. Explore the cuisine, culture and entertainment from more than two-dozen countries and six continents. You may also experience culinary demonstrations, nightly musical performances and so much more. 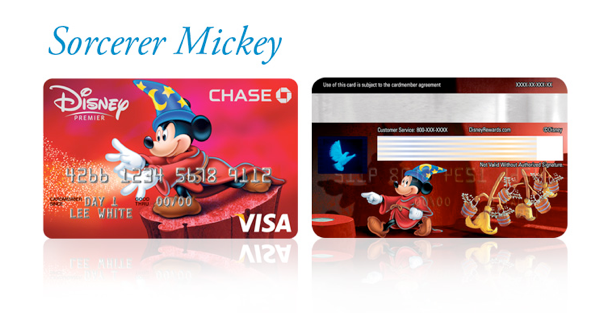 Chase today announced the launch of the new Disneyâ€™s VisaÂ®Â Debit Card. The new card gives customers access to special Cardmember perks when visitingÂ Walt Disney WorldÂ®Â and theÂ DisneylandÂ®Â Resorts and when shopping at DisneyStore.com and Disney Store locations.Â Disneyâ€™s VisaÂ®Â Debit Card is available now and has no annual fee. Guests can visitÂ DisneyDebit.com/PerksÂ for more details on these benefits. Disneyâ€™s VisaÂ®Â Debit Cardmembers will receive the same security and safety benefits as the standard Chase VisaÂ®Debit Card, including real-time fraud monitoring, free security alerts, zero liability protection, guaranteed reimbursement for unauthorized purchases andÂ BlinkÂ tap & go functionality in markets where applicable. The Disneyâ€™s VisaÂ®Â Debit Card is the latest addition to the suite of Disneyâ€™s VisaÂ®Â Cards offered by Chase.Â TheÂ Disney RewardsÂ®Â VisaÂ®Â Credit CardÂ was introduced in 2003 and earlier this year, Chase launchedÂ Disneyâ€™s Premier VisaÂ®Â Credit Card from Chase. Chase checking customers can switch their current Chase Debit Card to a Disneyâ€™s VisaÂ®Â Debit Card by visiting their local branch or calling Chase Customer Service at (800) 935-9935. Disneyâ€™s VisaÂ®Â Debit Card is available with all Chase checking accounts excluding High School and Access Checking.Â Standard eligibility requirements apply. Guests can upgrade to other dining plans by paying the price difference. Availability is extremely limited, and must be booked byÂ September 29, 2012Â To receive the Disney VISA cardholder discount, you must pay your deposit at time of booking with your Disney VISA, and you must pay the balance with your Disney VISA card as well, when due. Please note that while most dates during the Fall are blacked out, as long as you check in on an available travel date, the free dining on your package will extend past that date. As usual, this discount is subject to availability. 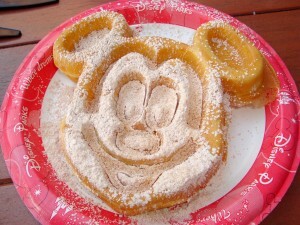 To book this special Disney VISA â€œFree Diningâ€ vacation package, please contact our great sponsorÂ Mouseketrips. Disney VISA cardholders can get a special discount on the 2013 Walt Disney World marathon, if they register before June 19, 2012 and use their Disney VISA card to pay. Special discounted prices are also available for the Walt Disney World Half Marathon and Goofy’s Race and a Half Challenge. Join us for a marathon celebration 20 years in the making! You’ll run across magical Disney touches at every mile. Enjoy early registration savings plus additional savings for being a Cardmember. Race through the most magical place on earth. You can also get your feet moving in the Half Marathon and Goofy Challenge.Â With savings and races filled with this much Disney magic, you’d be Goofy to miss it!Â Learn moreÂ about theÂ Walt Disney WorldÂ Marathon Weekend events. 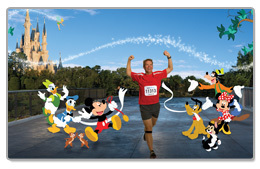 Register before June 19, 2012 to receive these special Disney VISA cardholder prices.Â TheÂ Walt Disney WorldÂ Marathon Weekend isÂ January 10-13, 2013. Register now! Availability is extremely limited, and must be booked byÂ May 18, 2012Â To receive the Disney VISA cardholder discount, you must pay your deposit at time of booking with your Disney VISA, and you must pay the balance with your Disney VISA card as well, when due. Please note that while the last date of travel is September 29, the free dining on your package will extend past that date, as long as you check in September 29 or before. As usual, this is subject to availability. 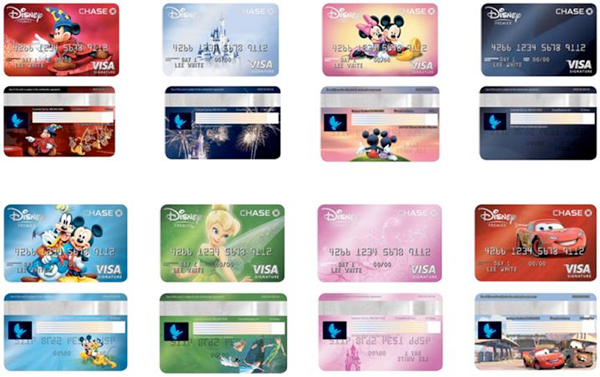 Disney and Chase have introduced a brand new Disney VISA card this morning, the Premier Disney VISA Card. This card is in addition to the current Disney VISA cards from Chase, and has an annual fee and some additional perks (plus unique card designs). Please not again this is a completely separate program from the existing Chase Disney VISAs. As this was announced just a few minutes ago, there is not any information about if Chase will be ending the existing program (very unlikely) or if they will be offering existing cardholders the opportunity to move over (very likely). More information to come. For a limited time, Disney RewardsÂ VisaÂ Cardmembers will save 15% on a membership to D23: The Official Disney Fan Club. D23 is the official Disney fan club. Named in honor of the year 1923, when Walt left Kansas City, headed for Hollywood and founded what would become the Disney Studios, D23 offers its members a glimpse behind the magic with its stunning publication, unique events, complimentary gifts, robust website, special discounts & offers and much more. D23 celebrates the wonder and excitement that began in 1923 and has only increased over the decades as Disney’s stories, characters, songs and experiences have captured imaginations the world over. To become a D23 member, just visitÂ Disney.com/23, and click on “Join D23.” Enter promotional code: D23DisneyVisa at checkout and use your Disney RewardsÂ VisaÂ Card to receive your discount. 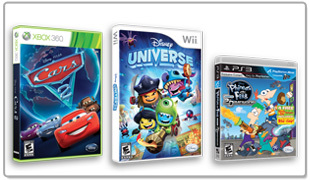 Hurry, this offer ends January 31, 2012! Put the pedal to the metal and receive $150 off the Rookie Experience or $30 off a 3-lap Ride-Along in a 600-horsepower NASCAR race car at the Richard Petty Driving Experience located at the Walt Disney World Speedway. $150 off the Rookie Experience: Reach lightning speeds during your 8-lap drive around the SPEEDWAY in a 600-horsepower NASCAR race car. $30 off a Ride-Along Experience: Ready, set, race in a 2-seat NASCAR race car for a thrilling 3-lap experience. And cross the finish line with a complimentary souvenir photo (reg. $17.50 value). Hurry! Book and complete your driving experience November 1, 2011 â€” January 31, 2012 to speed away with this special offer. 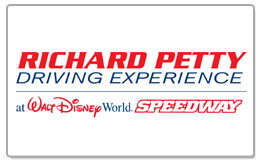 Call Richard Petty Driving Experience at 1-800-237-3889 and mention your Disney RewardsÂ VisaÂ Card to receive your Rookie Driving Experience savings. Mention this offer at the SPEEDWAY to get your Ride-Along Experience discount and complimentary Ride-Along photo. Let the magic begin with your favorite sorcerer, Mickey Mouse! This specially designed, exclusive 2011 Cardmember pin is now available for $8.95 plus tax at the following locations. 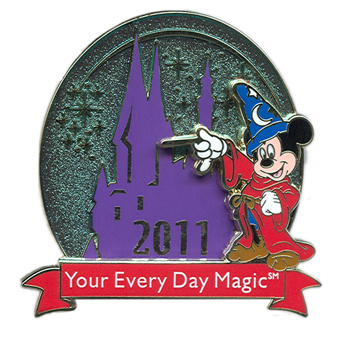 The Mickey Sorcerer pin is now available to purchase online viaÂ DisneyPins.com. The Mickey Sorcerer pin is available viaÂ Walt Disney WorldÂ Merchandise Guest Services by calling 407-363-6200 or via e-mail:Â wdw.mail.order@disneyworld.com. All pins are available while supplies last, and may not be available viaÂ Walt Disney WorldÂ Mail Order at time of inquiry.Â Cardmembers may also contactÂ DisneylandÂ Resort Merchandise Guest Services at 1-877-560-6477 or send an e-mail:Â DisneysMerchandiseServices@disney.go.comÂ to check availability of ordering these pins. All pins are available while supplies last, and may not be available viaÂ Walt Disney WorldÂ orÂ DisneylandÂ Mail Order at time of inquiry.